All books are not created equal. Nor are all readers. Nor are all reading times and places equal. For a reading experience to really work, there have to be several factors all combining. In short, there has to be the right time, the right book, and the right place. Years ago, I started reading Against All Hope by Armando Valladares. This is a triumphant account of a man who survived the horrors of living under Casto’s regime in Cuba, but it is grim reading. At the time I started reading it, now forgotten troubles in my life convinced me to put it aside for a season. I can also remember a time when I was very down about a number of things and G. K. Chesterton stepped in to fortify my faith and Arthur Conan Doyle provided me a Sherlock Holmes story each night to boost my spirits. At one time, I kept James Herriot’s books close by and only read them when my mind was exhausted. Over the past few decades, I have become a morning person and a morning reader. 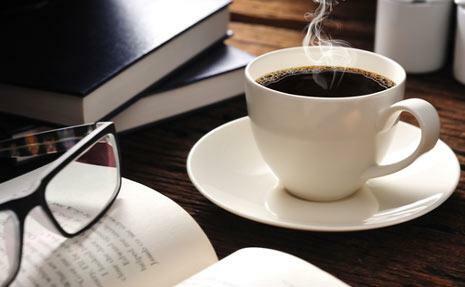 The more difficult books are the ones that demand strong coffee and an alert mind. But sometimes the caffeine quota just doesn’t jump start the brain enough for the book to resonate. I urge all readers to be constantly searching for the right book for the right time. Evenings for me are times for histories, biographies, popular fiction, and classics that are not overly demanding. Books with short chapters work well to carry along when faced with sitting in a waiting room or being idle for a long time (like 5 minutes). 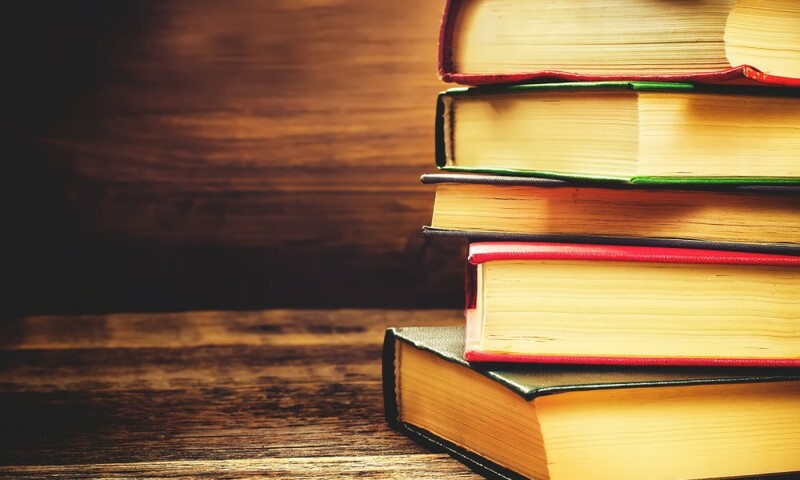 Some difficult books need to be read or at least attempted because we need what they contain, including the mental stretching due to the contents. I am not refering to nightstand books or beach reading, but those works of history, philosophy, theology, science, economics, literature, and so on that we should read because of our callings and duties. Some difficult books need to be read because we need the change that the book’s contents will provide for us. I will now discuss two very difficult books that I have read this year. They are totally different kinds of books and the difficulty level in each of them is drastically different. 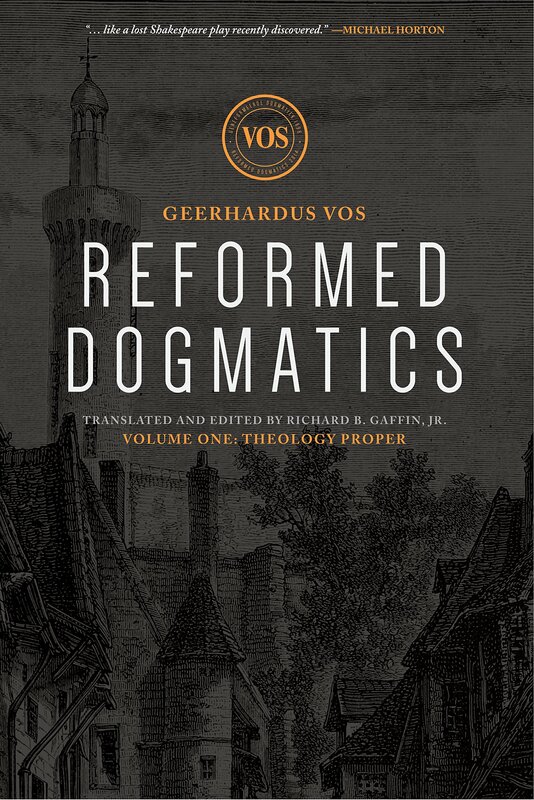 In the spring, I read Geerhardus Vos’ Reformed Dogmatics Volume One: Theology Proper. 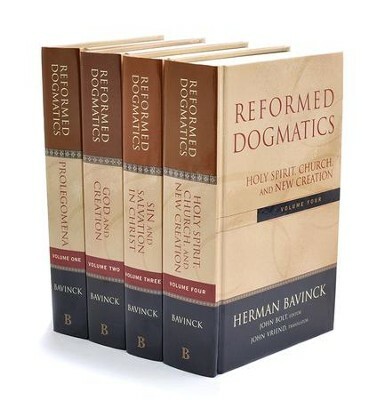 All four volumes of Vos’ Reformed Dogmatics are now in print, but I have only acquired and read the first one. This set is published by Lexham Press. The difficulty of it lies first in its format. These works were put together from classes that the Dutch theologian (and later emigrant to the United States) taught in Dogmatic Theology. The work is set up in a series of questions and answers. For example, chapter three begins a 38 page study of the doctrine of the Trinity. It begins with this question: Why must we not seek a decisive proof for the Trinity in the Old Testament? Vos follows with a three part answer and then moves on to the next question: What traces of the Trinity can we nevertheless discover in the Old Testament? This questions gets a two paragraph answer. Vos’ book ranges from detailed Bible supports for topics to short summaries of both inadequate and confirming theological sources. I suspect that the Q & A format was what he expected his students to read through and think about, as well as research further. It doesn’t seem to have been a lecture format. 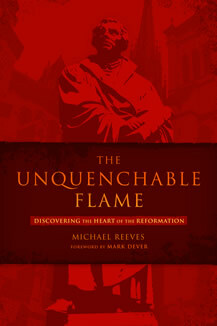 The format calls for time and attention to the Bible references and mastering the topics, terms, and theologians found in the content. The difficulty of the book is that it calls for a slow and deliberate reading. Of course, one can skip and skim to find the points of particular interest, but that is not the best use of the book. Why read this book when other and more easily read books are available? First, I will answer as a historian/history teacher. Geerhardus Vos is a central figure in the story of 19th and 20th Century Dutch Calvinism that impacted both Europe and North America. The pioneering figure in the movement was Abraham Kuyper, but Kuyper was not the first or the only key theologian or Christian worldview thinker from the Netherlands. My historical studies have carried me from Arkansas to Amsterdam many times figuratively (although I can add that I once was in Amsterdam for a half hour on a plane flight). Second, as a Christian teacher and one who has been involved in various ministry works, I need the challenge and first hand experience in reading the theological heavies. Always balanced out with easier readings close at hand, reading the more challenging works is humbling and soul nurturing. Third, as a Christian believer, I need to be reminded of the saints who have gone before, who labored long over an open Bible and the the theological classics, and who then left us things to read. Biblical theology, be it deep and difficult, finally filters down into the most simple and basic of Bible truths. For the simple “God is good, God is great” mealtime prayer or the children’s song “Jesus loves me this I know, for the Bible tells me so” all contain incredibly deep, wide, profound, and world-changing theological assumptions and foundations. I need to be reminded that the “faith once delivered to the saints” is adequate to answer any and all objections and is profitable for life. And so, I have to tackle the books whose content is hard for the mind. I finished a book today that will rank as one of the hardest I have ever had to read. 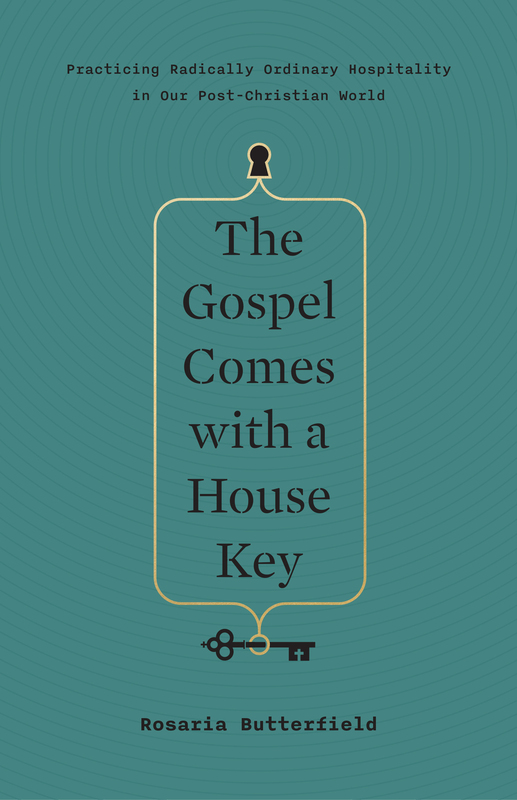 The Gospel Comes With a House Key is by Rosaria Butterfield and is published by Crossway. 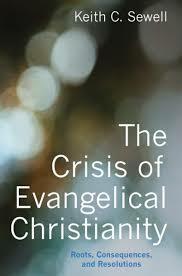 This book is a call for Christians to do more than simply share a bit of the Gospel with their neighbors. It is a call for a radical embracing of neighbors, regardless of their beliefs and lifestyles, and share the Christian life and Gospel with them. Much of the book centers around personal stories and accounts of the Butterfield’s neighbors and neighborhood. This family has an open door, an invitation, a pot of soup, a cup of coffee, or even a spare room for any and every person who comes along. The recurring story within this story is about a reclusive and odd neighbor called Mr. Hank. In time, the Butterfields became friends with Hank, but after a time, he was arrested and imprisoned for running a meth lab. That would have been experience enough to convince me to “build the wall ten feet higher,” to quote a Republican Presidential candidate from 2016. Not so with this woman and her pastor husband and her homeschooled kids. They did even more to share the Gospel with the man (who was converted after being imprisoned) and teach their neighbors to forgive a wicked neighbor. But slowly I am realizing that replicating the lifestyle and practices of this family is not what I need to do. 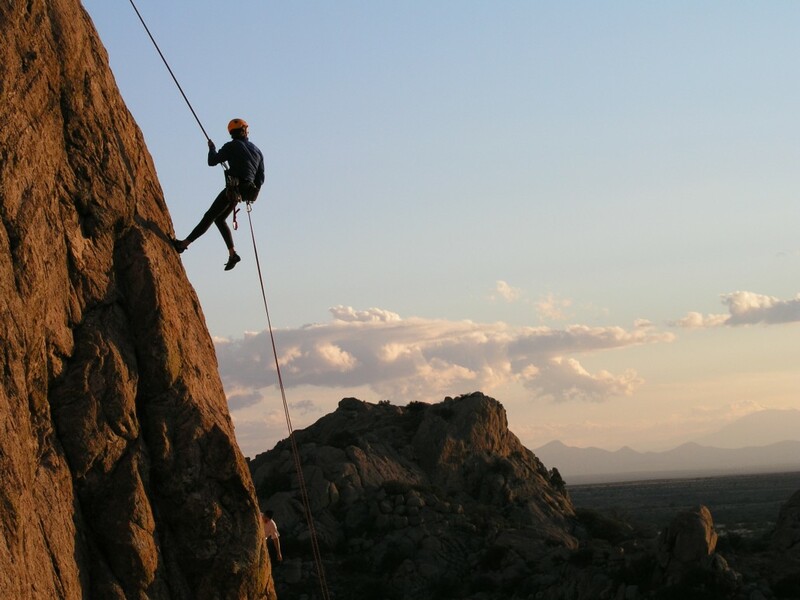 As is often said, “Do the next right step.” I suspect it may be many small steps along the way for my family–and especially the very introverted, reclusive me–to practice our own version of this. But, my wife is already leading a small group of young ladies through the book Lies Young Women Believe by Nancy Demoss Wolgemuth. Conviction hurts. Hopefully it hurts long enough to result in a few changes. The Gospel Comes With a House Key is not for the faint of heart or for the person who wants the Christian life to be segmented into a short two hours of minor inconvenience called church on Sunday mornings. 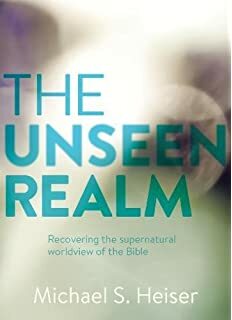 This book, unfortunately for staid and stubborn Christians like me, sounds a bit too much like Jesus of Nazareth. I did not embrace Reformed theology, sometimes called Calvinism, by just hearing men. Logical programming has never been my abiding characteristic. Going insane has always only a short trip. “You are following the words of men” is an odd criticism because whoever is saying that to me is giving me words of a man (using “man” in the now archaic sense of “person”). Agree or disagree, my understanding of Reformed theology came from the old fashioned method of looking up lots and lots of Bible passages. Yes, it was from books written by men that I was getting the listings of Bible verses. Loraine Boettner caused me lots of angst, joy, irritation, joy, unbelief, joy, belief, and then more joy. Then along came the book The Five Points of Calvinism: Defined, Documented, and Defended by David Steele and Curtis Thomas. 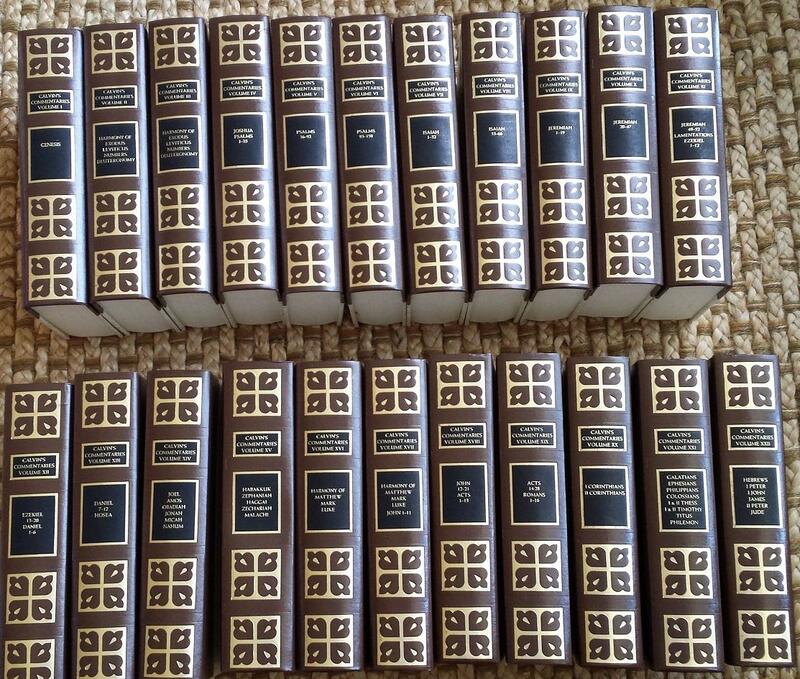 With a minimum amount of defining and defending, the bulk of the book was Bible verses supporting each contention. Before Reformed theology, I never really understood how to read, study, and work through the Bible. 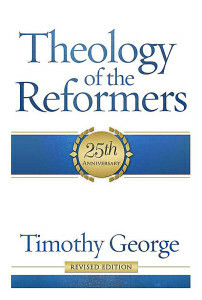 Reformed theology made me a student of the Bible. For a time, I thought all Calvinists agreed on everything. (Pause for a minute or two of laughter.) 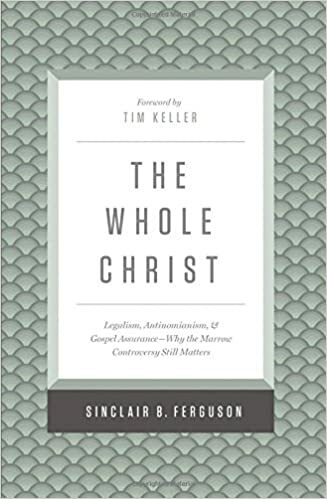 In time, I realized that all true Calvinists or Reformed folk really just centered on one narrow, limited, restricted doctrine–the Bible is the Word of God. The Bible Alone–Sola Scriptura–was the hallmark. Yes, we (the Reformed) fall short of our principle; yes, we interpret; yes, we put spiritual blinders on; yes, we sometimes inadvertently use old creeds, confessions, and “words of men” to bolster some weak arguments. But the touchstone still stands: Scripture Alone. Now, back to John Calvin. First of all, Calvin was the last person who would have wanted a whole movement to be named after him. Second, he didn’t devise the handy-dandy TULIP or 5 Point Summary of Salvation. Third, he was not a Johnny Calvin-One Note who found predestination and election in every verse. 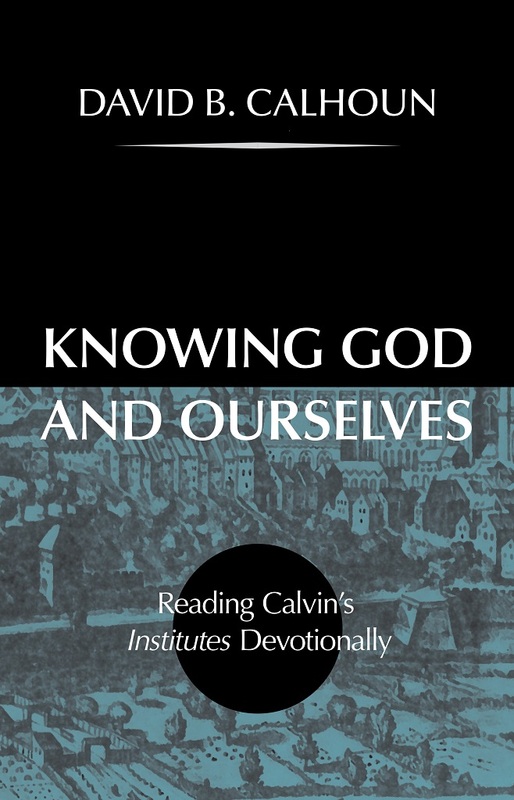 Additional recommendation: I first became aware of David Calhoun’s writings when I read the first of his two volume story of Princeton Seminary. I love that set, which is a Banner of Truth publication. Then later, I read, reviewed, and loved his shorter volume on Columbia Seminary and his biographical and editorial work highlighting the southern Presbyterian theologian William Childs Robinson. 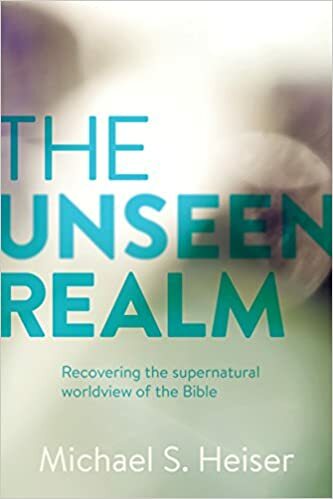 While these books might seem to be of interest only to Presbyterians studying their own history, the works reach to a wider range of concerns. The history of Presbyterians in the 18th-20th centuries in America echo, explain, and chronicle the ups and downs and downs and downs with a few later ups of our country. Knowing God and Ourselves is a different kind of book, however. 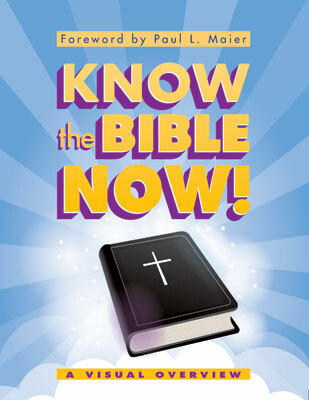 It is a first rate study and great for directing the heart and mind to God. God’s blessings on Dr. Calhoun whose health is not good, but whose faith is strong.